Programmatic technology is seen as the future of online advertising. Created for simple and fast selling and buying. SSP (Supply-Side-Platform) is built for Publishers. It connects them with a lot of buyers and allows to sell the inventory by real time auctions that guarantees the highest possible rates. 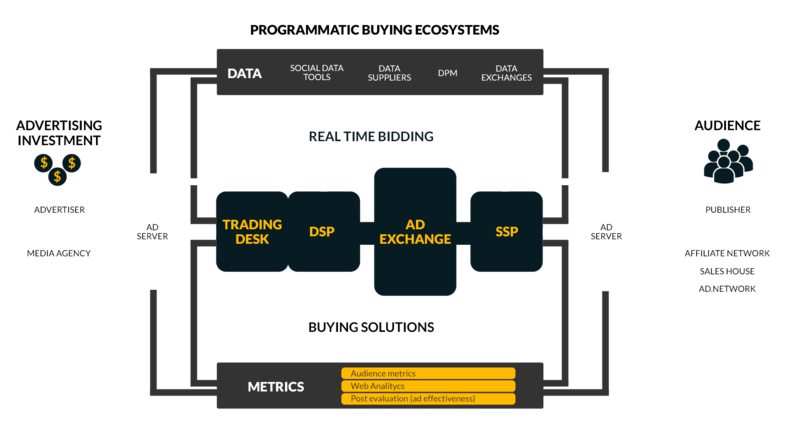 DSP (Demand-Side-Platform) is created for Advertisers for reaching their targeted audience. It allows to buy inventory via Open RTB protocol. Just create a campaign and set it up.